This Honduran family invited us into their restaurant and allowed us to pray for the mom who was sick. 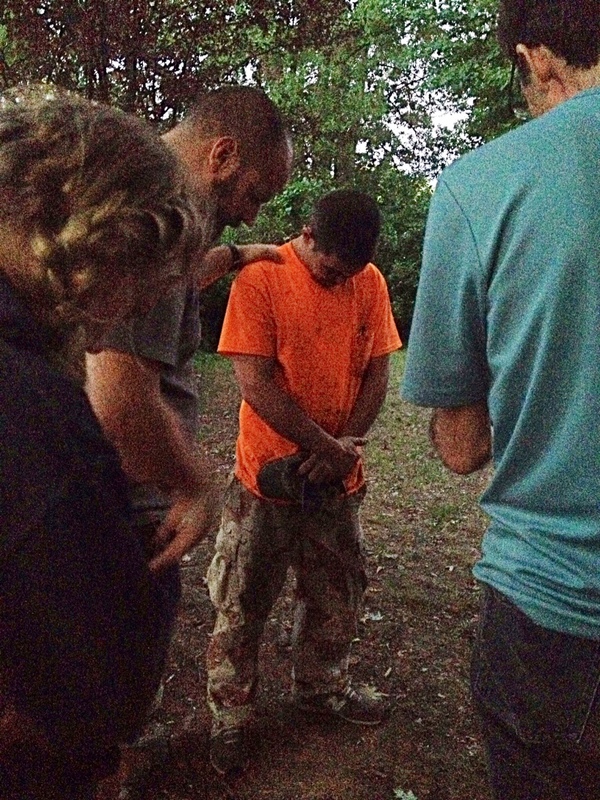 After praying, we shared a story from the Bible and invited them to follow Jesus. They begged the missionaries to return study the Bible and were open to starting a church in their restaurant. Praise God! 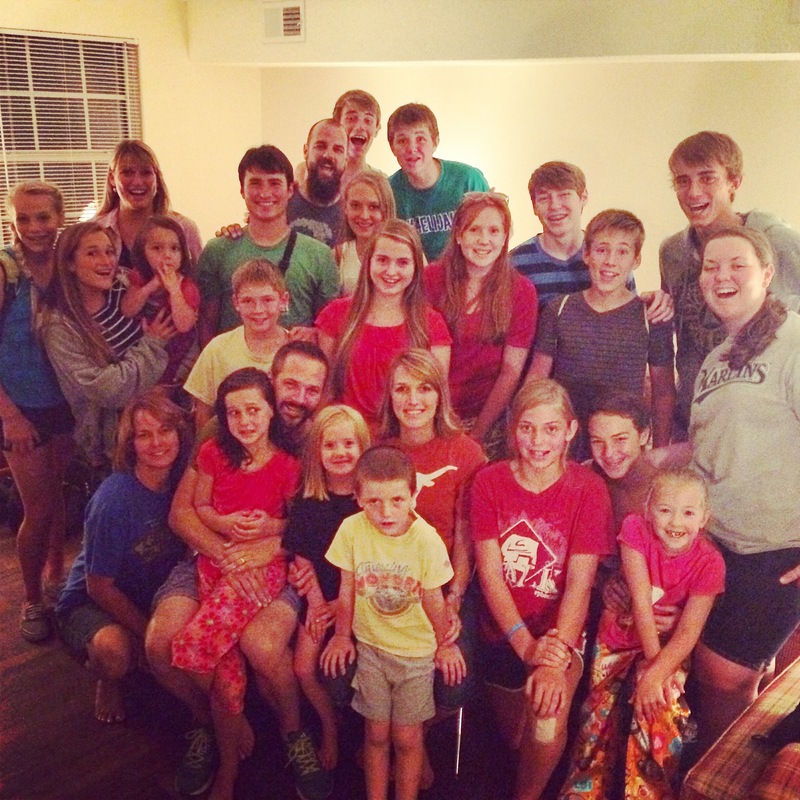 This Honduran family was open to studying the Bible and starting a church in their restaurant. Serving the Lansfords by “prayer knocking” and finding houses of peace. The Reiters: We cleaned out the basement and organized the garage of this 6000sf facility that was recently donated to the church planting network then went out into the community to “prayer knock” (offer prayer and share the gospel with homes). One lady chose to follow Jesus and was immediately trained to share the gospel with her family (by Troy’s niece, Faith Olsen) and is being trained by the missionaries to grow and reach her community. Serving the Reiters by cleaning the basement/garage and finding houses of peace. Ready to Follow Jesus: Troy praying for a man we shared the gospel with who was ready to follow Jesus and be used by God to reach his community. He is being followed up with by the missionaries to grow in Christ and reach his friends, family and neighbors. 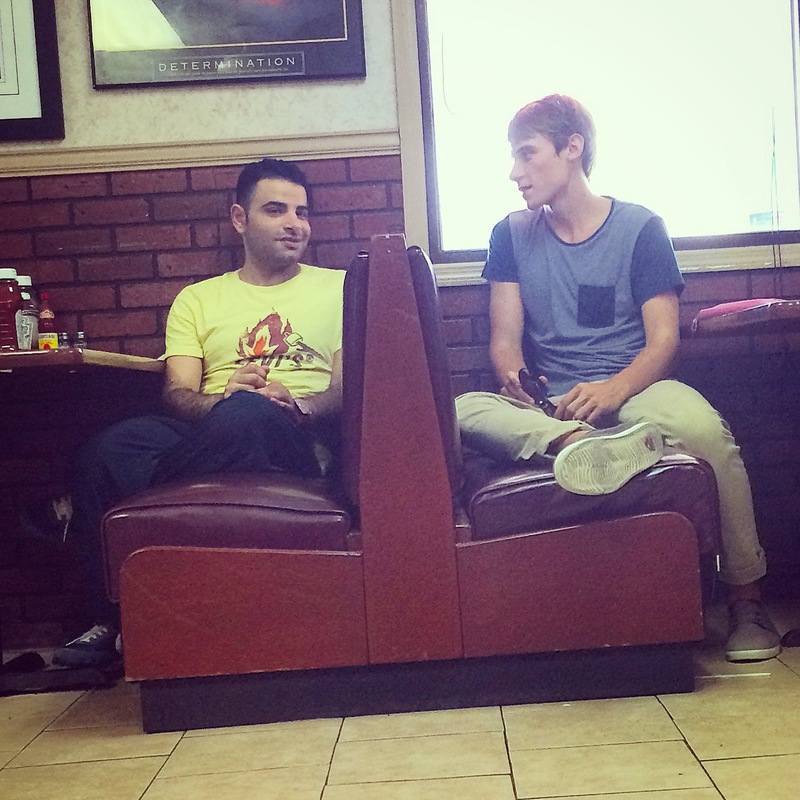 We shared the gospel with this man while “prayer knocking” and prayed for him. Buddhist Temple: We visited some temples including this Lao Buddhist temple where missionary Steve P (Troy’s mentor/coach) shared the gospel with the head monk and the board chairman. It opened doors for the missionaries to follow up with them. 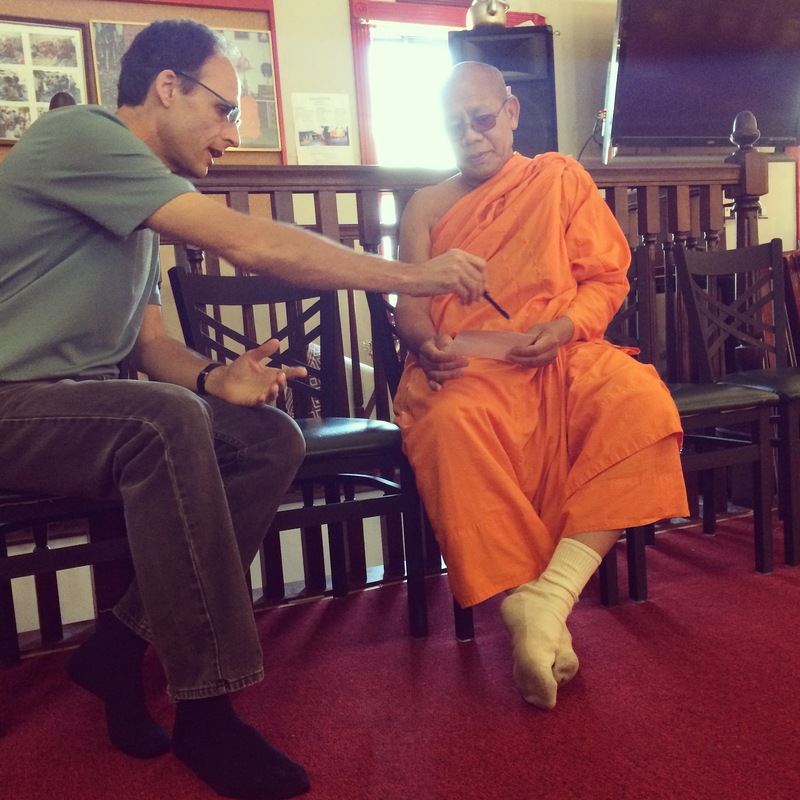 Steve P (Troy’s mentor/coach) shares the gospel w head monk of local Lao Buddhist temple in Nashville. Mapping Their Mission Field: Team members were equipped by missionary James Harvey to map out their community and cast vision to reach Martin County. It was amazing to see them get excited to reach our county!! (Since returning, the 4 “harvest fields” of Martin County have assigned a captain and are leading house of peace searches in their region. Praise God!!). James Harvey (holding map) equipped our students to map out their neighborhood w vision to get the gospel to every household. 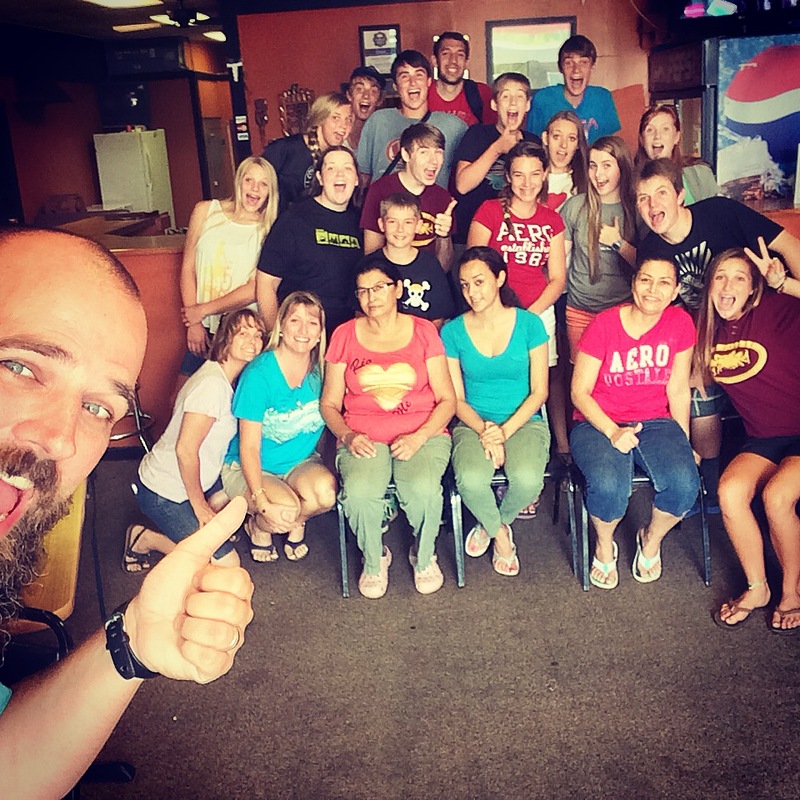 Gospel Grubbin’: We ate at local ethic restaurants to experience the culture and engage locals with gospel. Picture here students ate at an Egyptian restaurant where one student (Braden Olsen) shared the gospel with an Egyptian medical student who is studying at Vanderbilt. He was open to the gospel and being equipped by our partnering missionaries to reach other Egyptians and medical students. 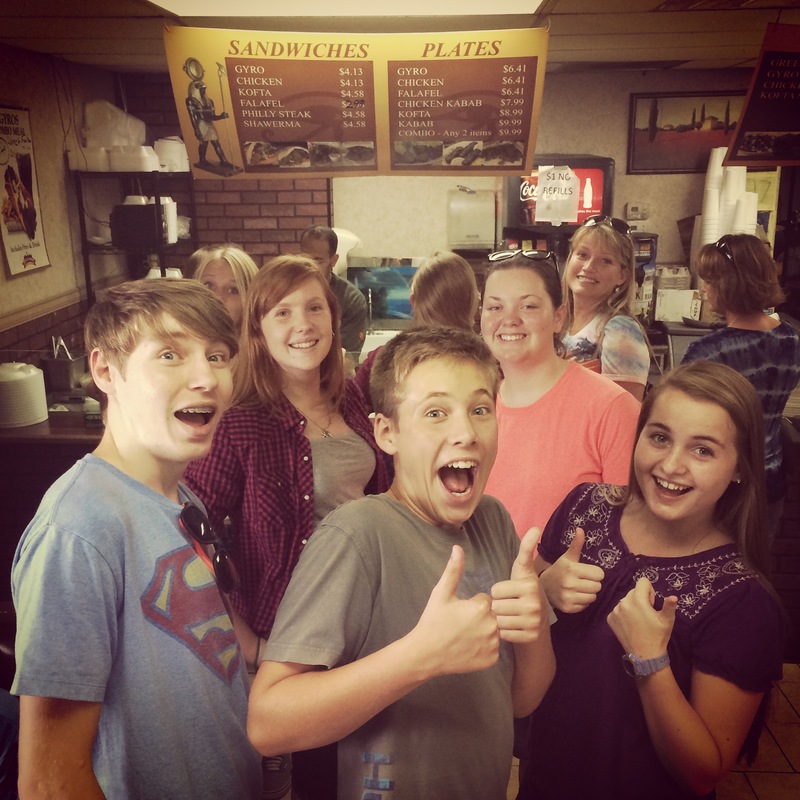 Students enjoyed experiencing the culture & ethic food at places like this Egyptian restaurant. Braden Olsen sharing the gospel with an Egyptian medical student who was interested in meeting w local missionaries for study of the Bible. 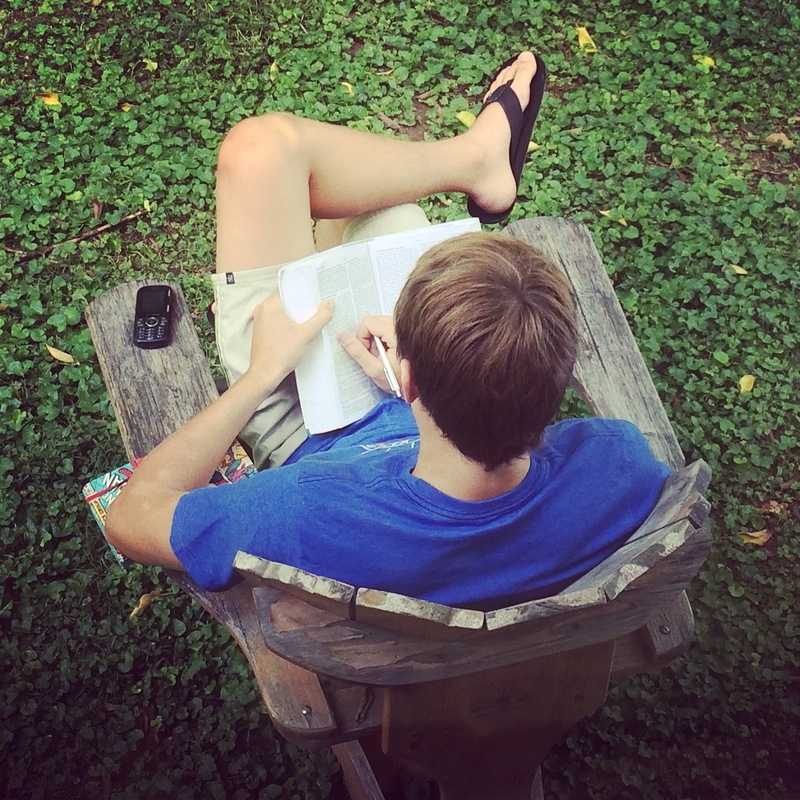 Daily Ministry Fuel: Students followed Jesus’ example in Mark 1:35 and spent an hour every morning alone with God where they would read their Bible and pray. We followed the alone time with a time of group worship and Bible study of Paul’s missionary journeys in Acts 13-21. The morning time with the Lord was fuel for our afternoon and evening of ministry. Students spent an hour with the Lord in His Word + prayer every morning followed by small group discussing and large group study of Paul’s missionary journeys from Acts. It was fuel for our day of ministry. These are just a few of the many examples where we saw God moving in Nashville. What is most exciting is the trip gave our group the tools and vision to return to Martin County and get the gospel out seeking spiritually interested. 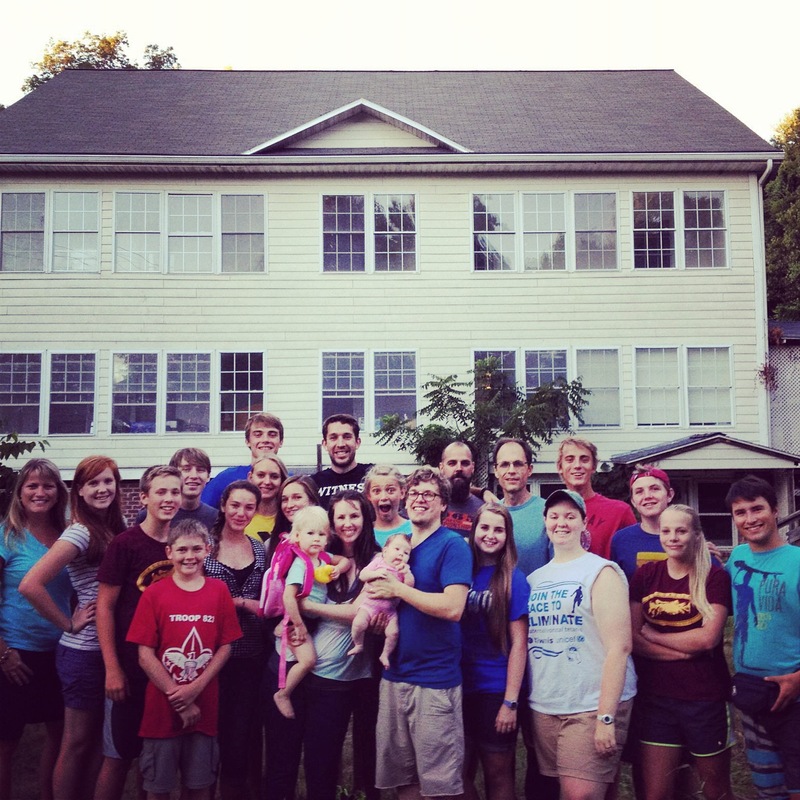 Would you like to join them in getting the gospel out to every household in your community? 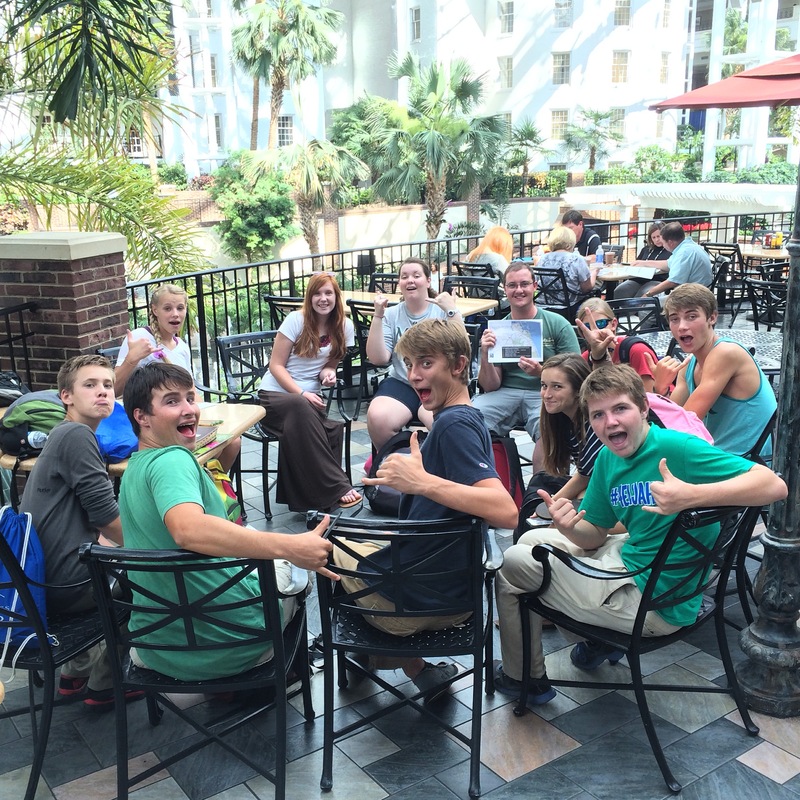 God is working to make His Name great among Nashville…as well as the 96% unchurched of South Florida. Praise God and thank you for your continued prayers! 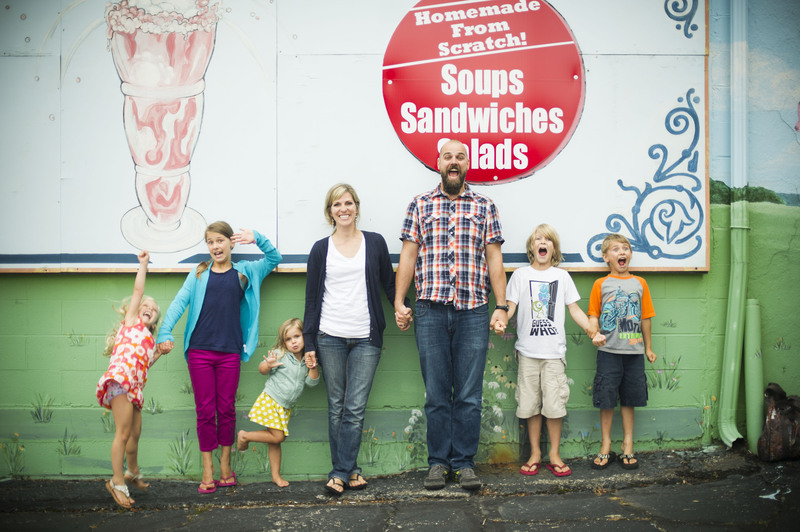 The Cooper Family serves on mission among the 96% unchurched of South Florida.